1 in 225 chance to win $10,000! It’s your night to win $10,000! 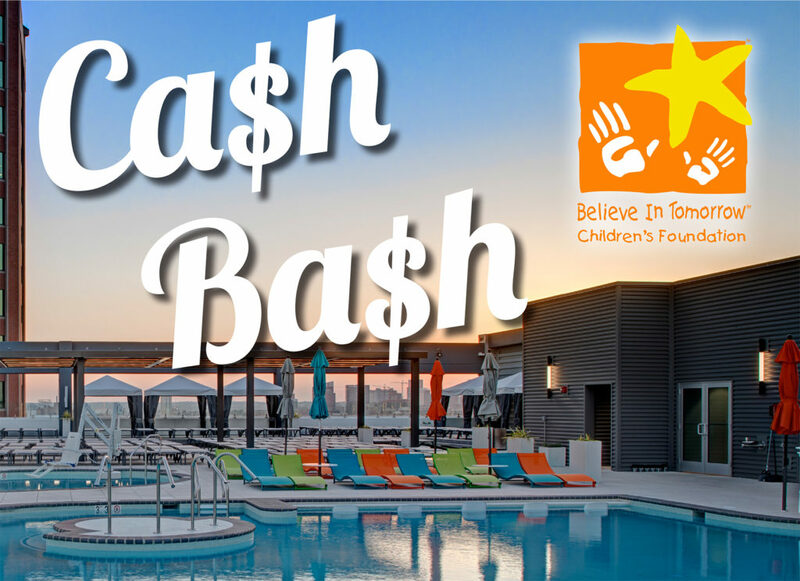 Join us on Wednesday, June 5, 2019 from 7-11 pm at Believe In Tomorrow’s annual Cash Bash event. Each $100 raffle ticket gives you a 1 in 225 chance at winning $10,000 and other cash prizes during the reverse draw raffle! Enjoy the breathtaking cityscape views while partying on the rooftop of Merritt Athletic Club in Canton. At the event, you’ll enjoy light fare, drink specials, music, and fun raffles along the way.